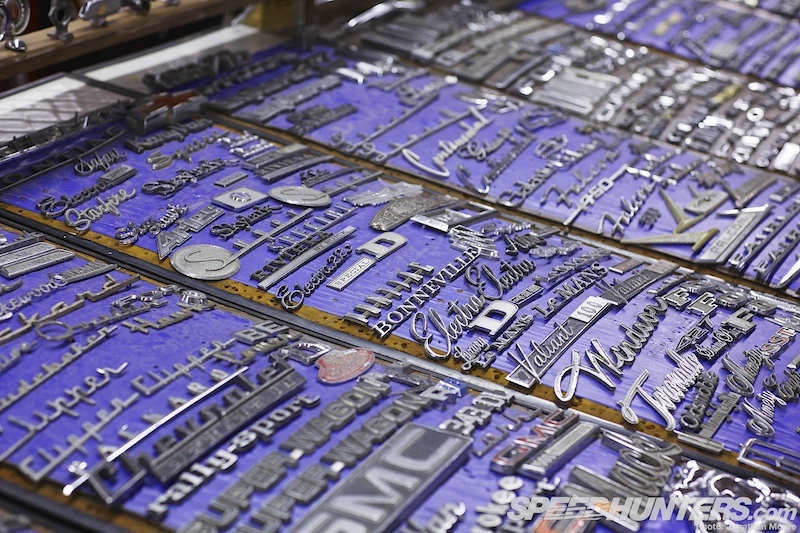 The after-market stands were like a tuning candy shop, full of every variant of any part you could possibly want for a car project. 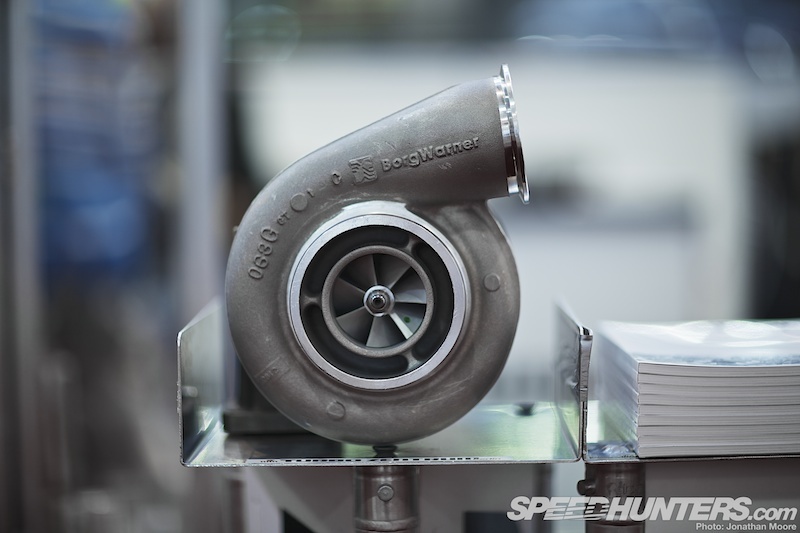 I’m fascinated by the aesthetics of a turbocharger – it’s such a brutally simple, compact component that makes an inversely big difference to performance. 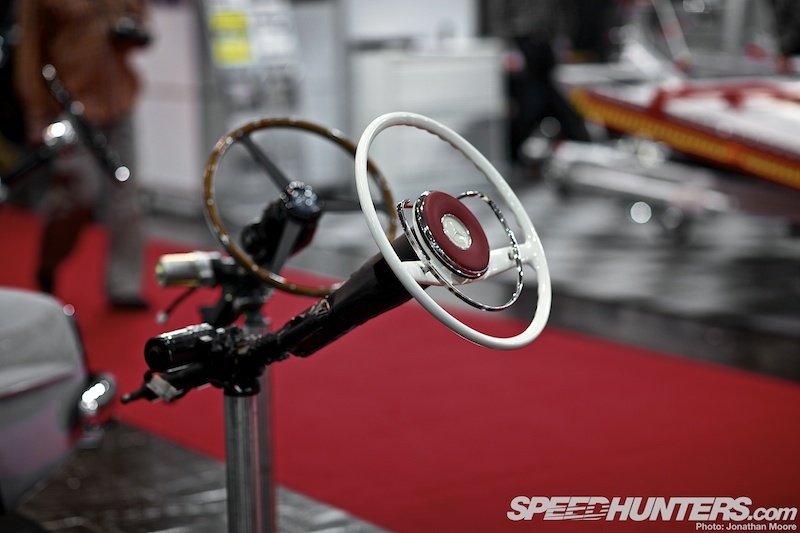 Out in the tuner and club areas you could check out a whole range of styles and scenes. I prefer the old school look, but there were some neat takes on modern hot hatches as well. 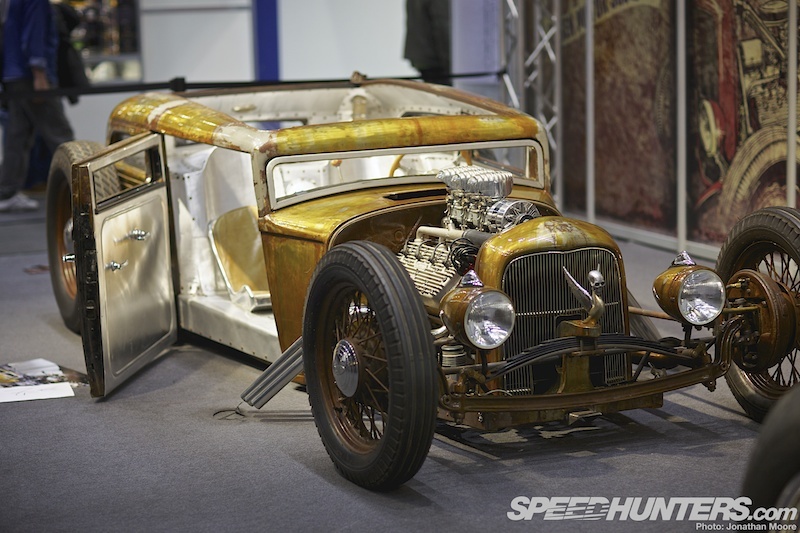 But let’s start with those hot rods we’ve touched on in previous posts: I hadn’t expected such an incredible display of class builds. 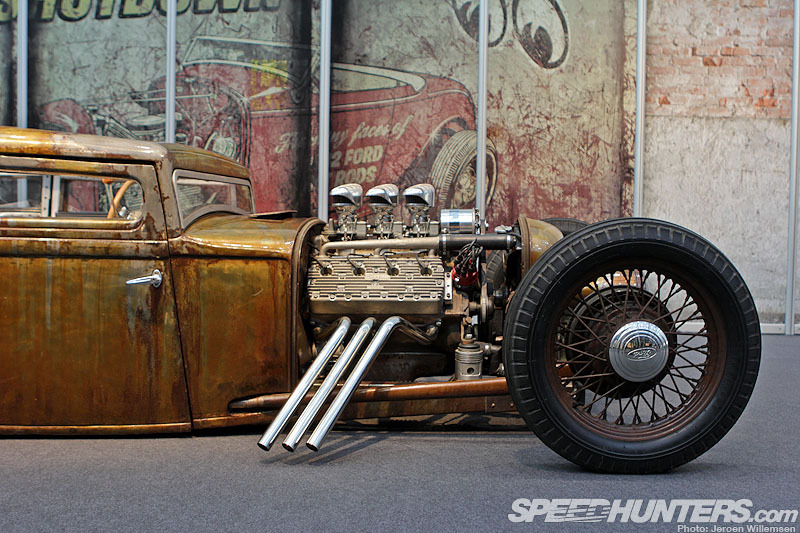 Smokin’ Shutdown, an excellent German magazine covering the hot rod scene, were using the 80th anniversary of the classic 1932 Ford as the excuse to show off a dozen or so exemplary rods in the long triple-height Galeria. All the cars present oozed class – a combination of sedans and pick-ups, ranging from high boys to ones so low that they were scraping the ground. 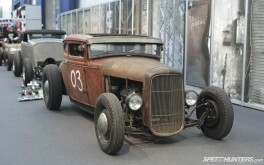 Like this chop-top ’32 Zombie rod standing less than a meter high. What an incredible car, and such amazing detailing. We kept coming back to this one. Check out the stark, riveted interior: ultra-low bomber seats, a customised ’47 Dodge dash and obligatory high-top shifter, plus a stove-pipe fuel-filler tube at the rear. Up front is where there was a hell of a lot going on: suicide suspension with 1946 wishbones mounting the headlights and nose art with the chopped Ford grill behind, then the big Flathead V8 with its triple-carbs up top and zoomie exhausts thrusting out each side. I think the only thing I wasn’t so taken with was the lacquer finish on top of the acid-corroded bodywork, but I’m sure it’s the more practical approach. For a less extreme look, we both loved this traditional styled Rat. 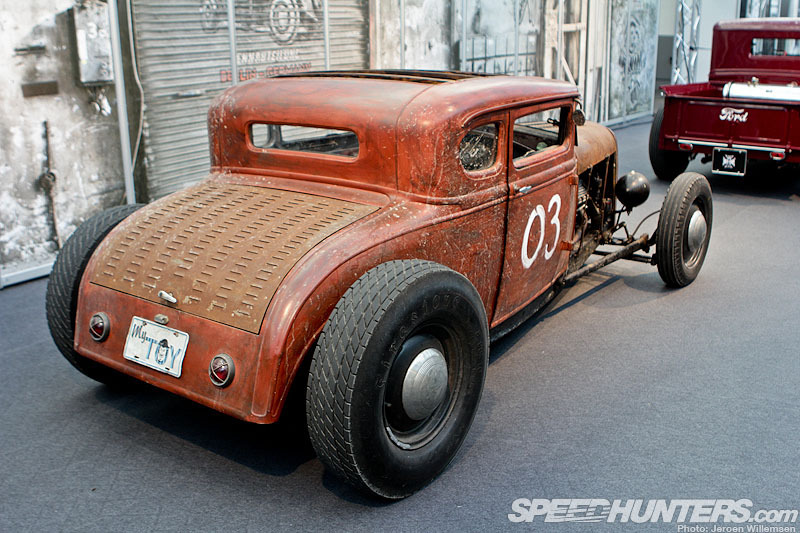 It could have teleported straight from the Bonneville Salt Flats. 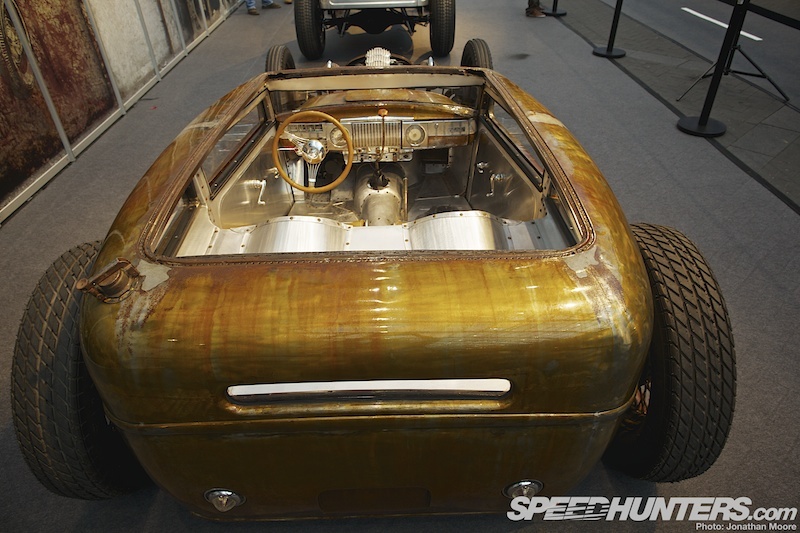 A look from the back revealed more patina and dirt like it had just ridden on a sandy oval. 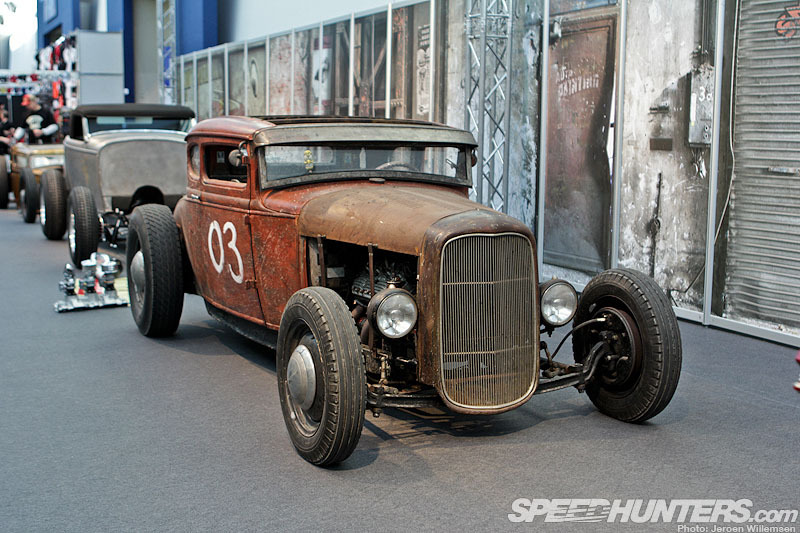 For a cleaner take on the same look, there was this shining green Model B coupé – up front it packed a 600hp 383ci V8 with a 671 BDS blower. 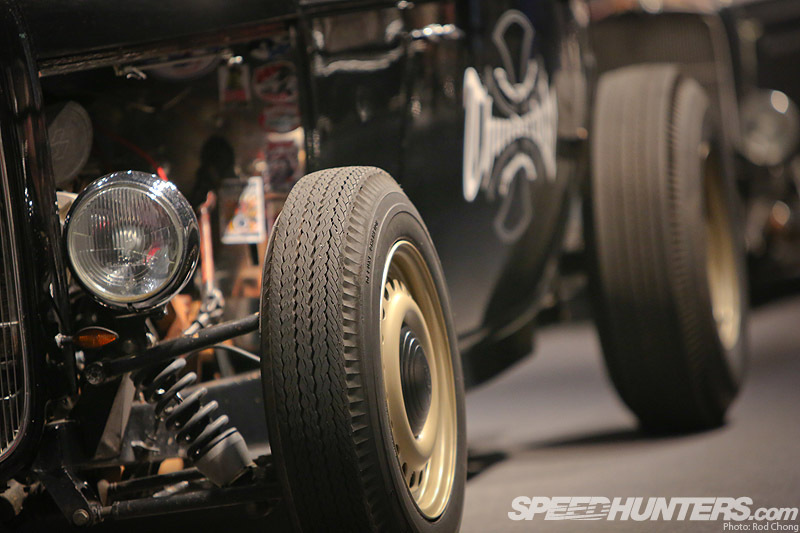 But all the hot rods on show were first class – it was a rare treat in Europe to see so many in one place, and a real pleasure for Essen’s visitors. 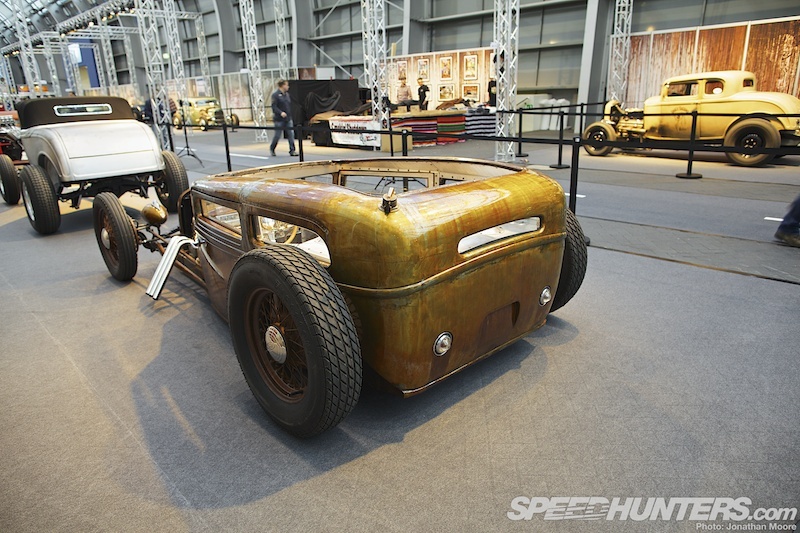 For a modern interpretation on the hot rod, there was the Espera Sbarro Eight on the concept stand in Hall 3. This was a much better environment for it than when I’d previously seen it at the Paris Motor Show, where it had been hidden away in a dark corner. 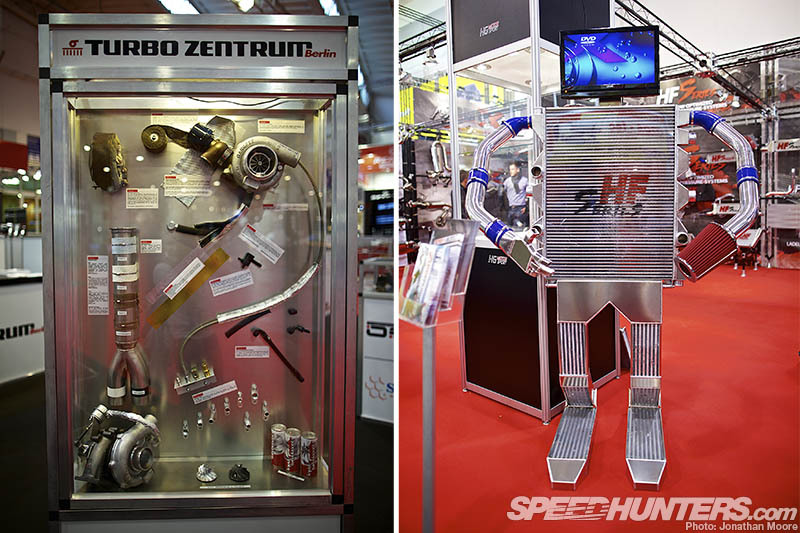 It put most of the other concepts at Essen to shame! 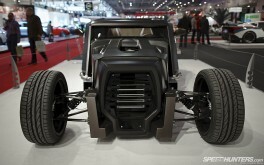 Espera Sbarro consistently rock up to shows with outlandish concept cars: they’re produced from a design school in France. Part Star Wars AT-ST, part science project, the carbon-fibre Eight weighs just 1,000kg: it’s a showcase for modern technology, but the design cues are all old school. A perfect match. Under the stealth hood is a 360hp Maserati bi-turbo V8 – some serious firepower, supplying quite a different engine note to a traditional hot rod. 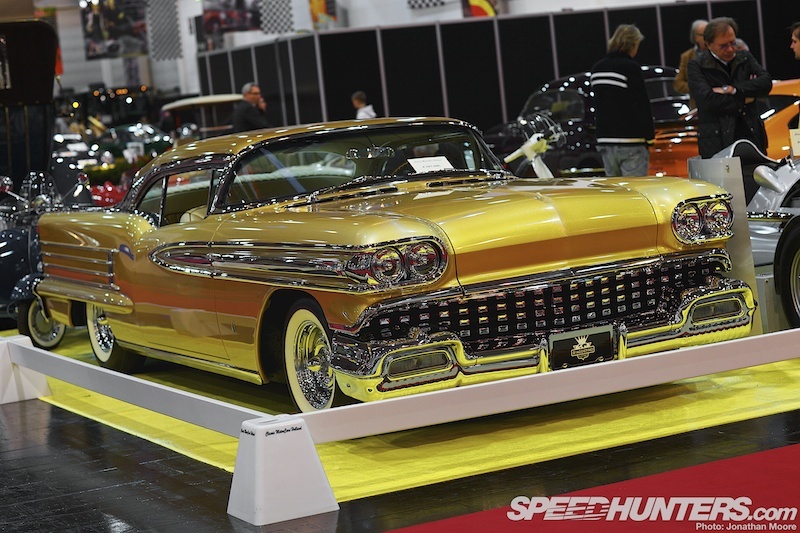 This John D’Agostino Oldsmobile ‘Egyptian’ originally debuted at the GNRS in 2009 and was a great example of a traditional American custom style. Three words that surely should never go together: Porsche, Diesel, Tractor. 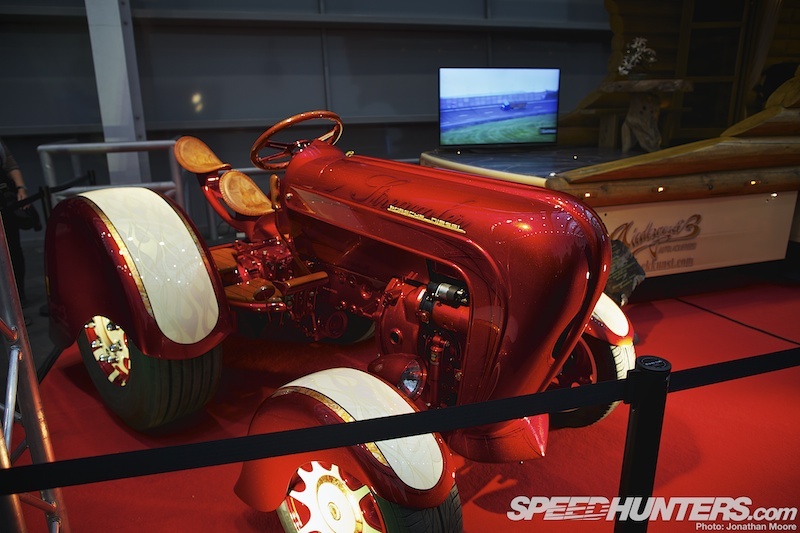 Though, let’s remember that Lamborghini started as a humble tractor manufacturer. Not with anything like this though! Then there was this… Sometimes you have to know when to stop adding detail. But still, there’s some post-apocalyptic intrigue about it. Even a pristine classic can sometimes do with a touch of modern convenience: how about adding power steering to your Merc or Jag? 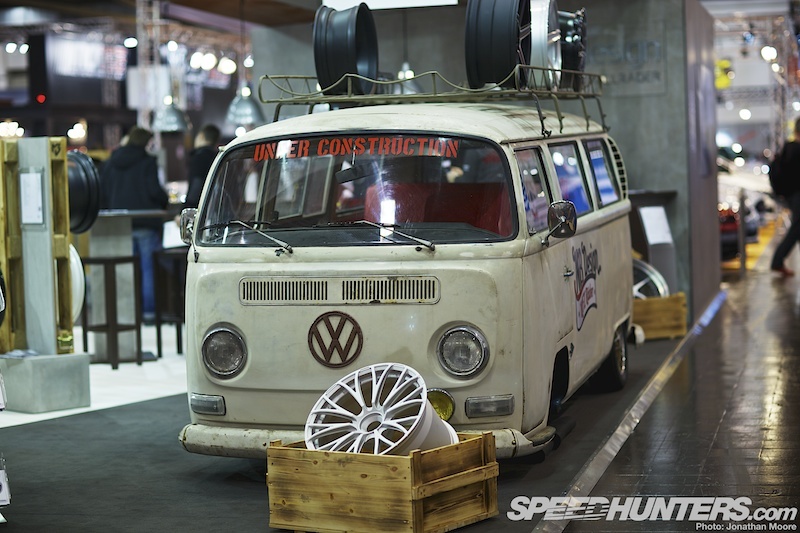 Being Essen, German brands were to the fore: one of our favourite displays was a slammed septet of all seven Golf variants. The Mk1 still hits the spot for me. It was cool to see that there were several different Mk1s to be admired around the show, like this Bordeaux red version on chromed Porsche wheels. 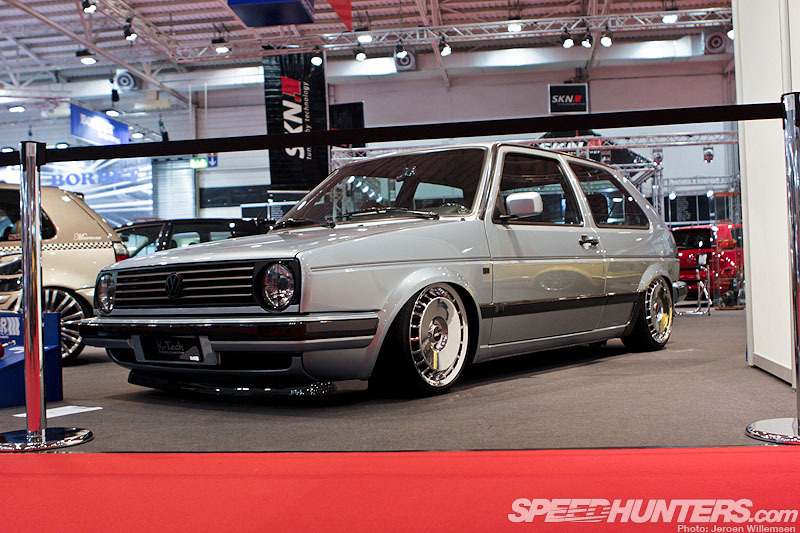 Ronals are still very popular within the VW community – this low Golf Mk2 had a customised set. 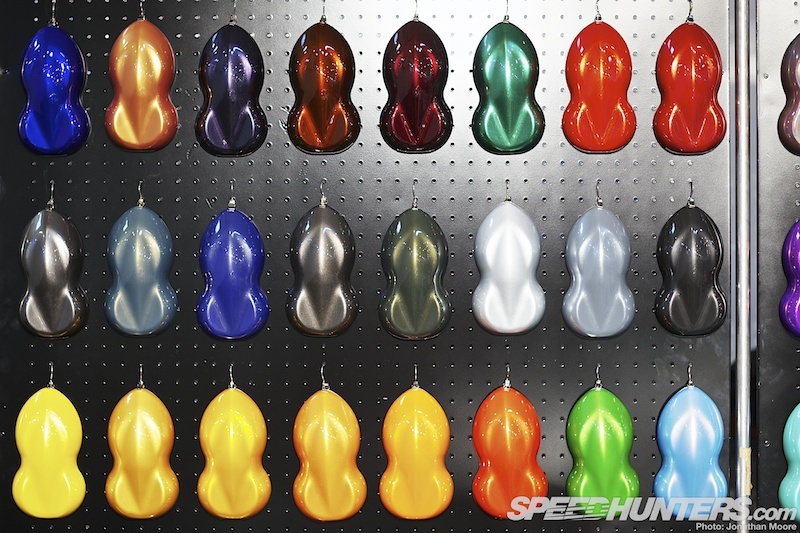 We also really liked the fact that the black parts had been clear-coated. 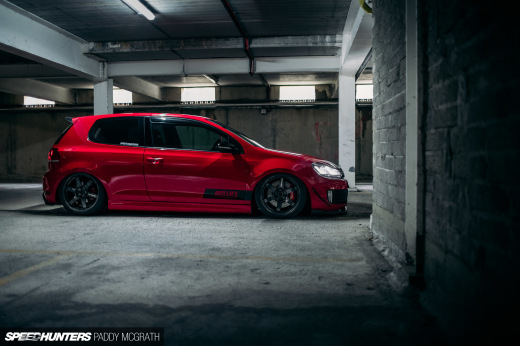 This Mk5 should be a familiar face to Speedhunters readers. Jeroen has shot it several times and every time it mounts a different set of wheels. This time around it even had two different sets at the same time! 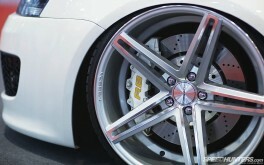 On the left side it had a pair of Vossen VVSCV5 in 20”. 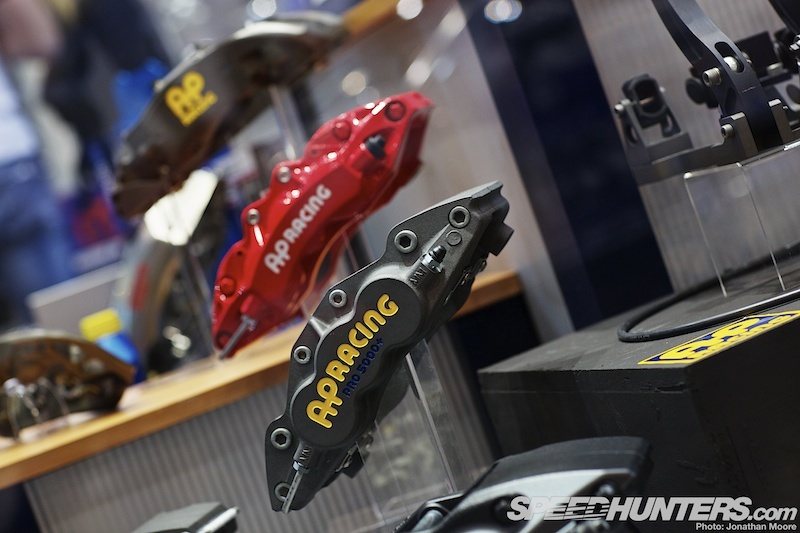 Through the spokes you can clearly see the R8 callipers that grip onto the Audi RS6 rotors. On the driver’s side it had two Vossen VVSCV7s with an equal impressive fitment, made possible by a custom suspension system from AH Exclusive. The Golf stand also hosted this brand new Golf Mk7, a car that isn’t even on sale yet in a lot of countries. Gone are the round lines and instead everything feels much tighter with more straight lines used. 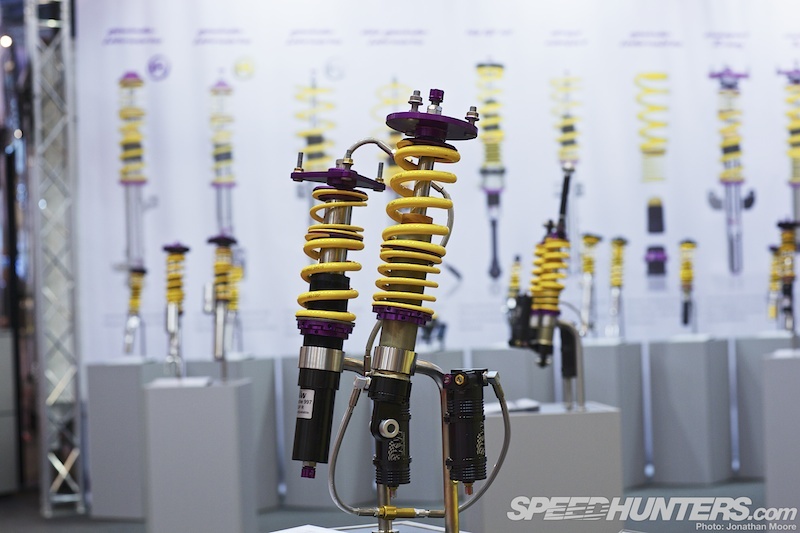 AH Exclusive dropped the car using a customised H&R suspension system. 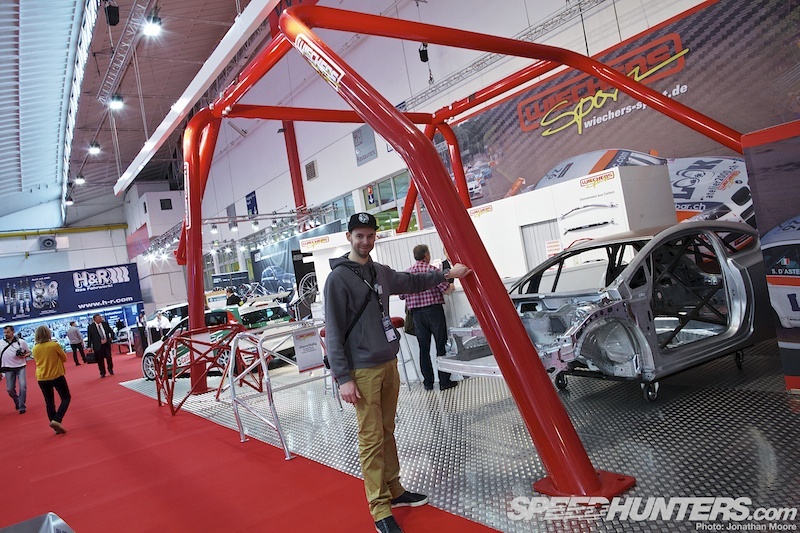 There were plenty more after-market bodykit and tuning options for Golfs around Essen, such as on the Rieger stand. 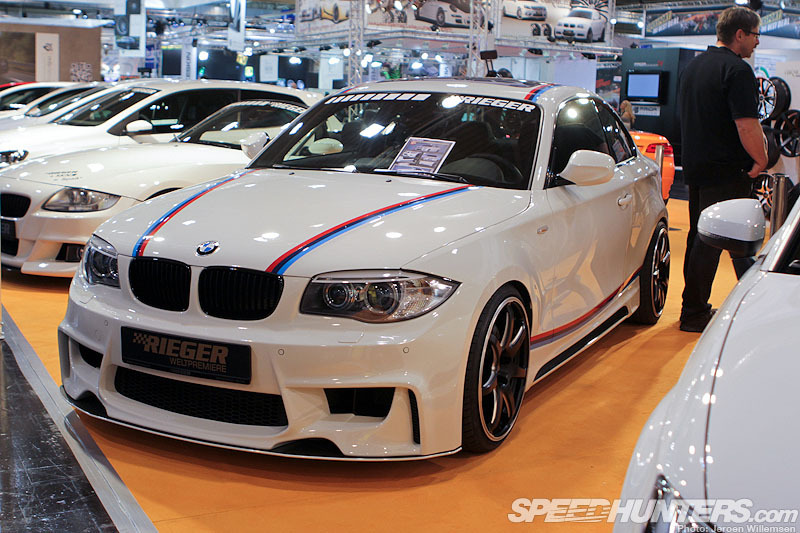 Rieger also premiered their BMW 1 Series kit, which utilised the classic BMW racing stripes. 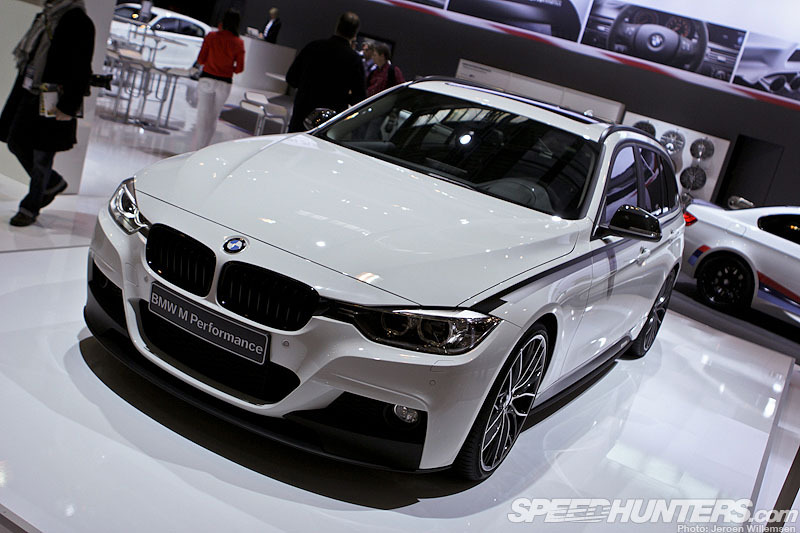 BMW themselves brought several cars to Essen, including this brand new 3 Series complete with an M Performance package. When all these exterior changes aren’t really your thing you can always count on Manhart Racing. 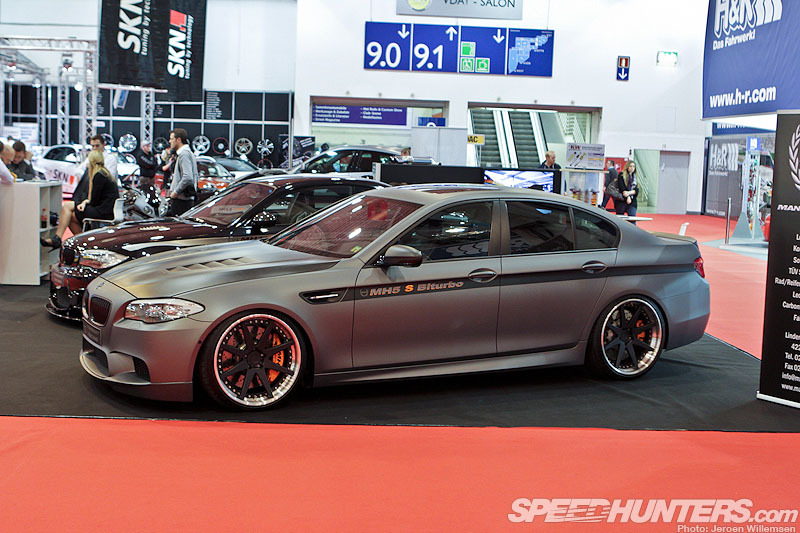 They turned this BMW M5 into a real beast, giving it more than 100bhp over standard. 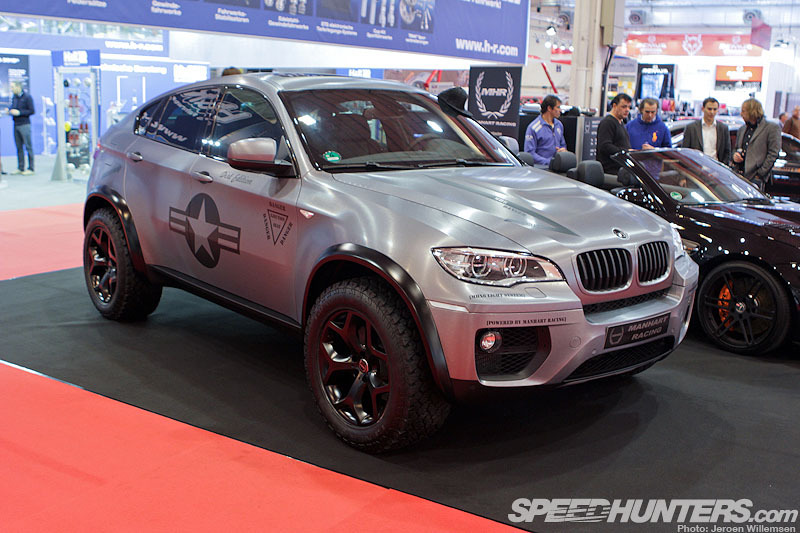 None of us are particularly fans of SUVs, but this military-look X6 also from Manhart Racing was an imposing sight. 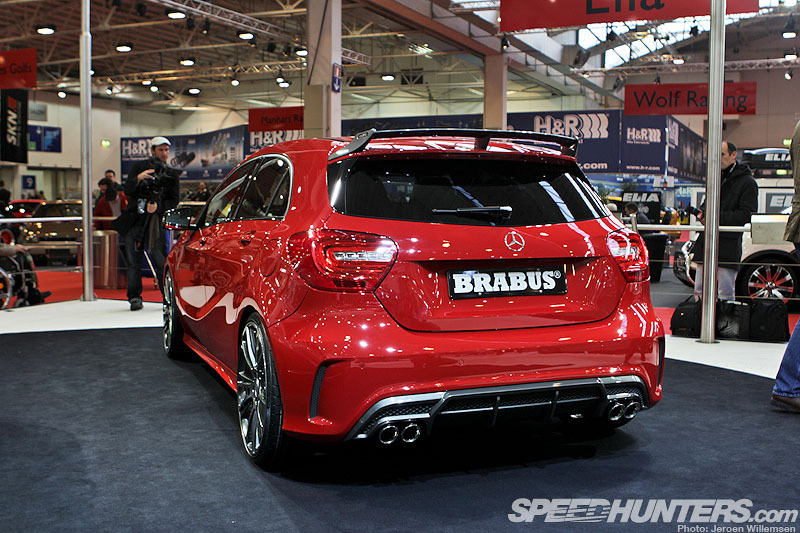 Staying with the German brands we also made a second stop at Brabus for a look at their take on the new Mercedes A-Class. 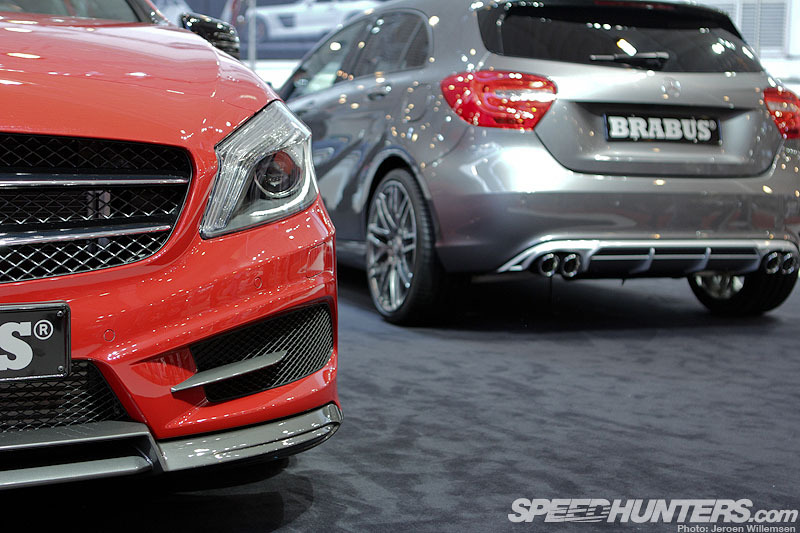 The base car was the already-potent AMG version, but Brabus have added an extra spoiler, diffuser and front lip. 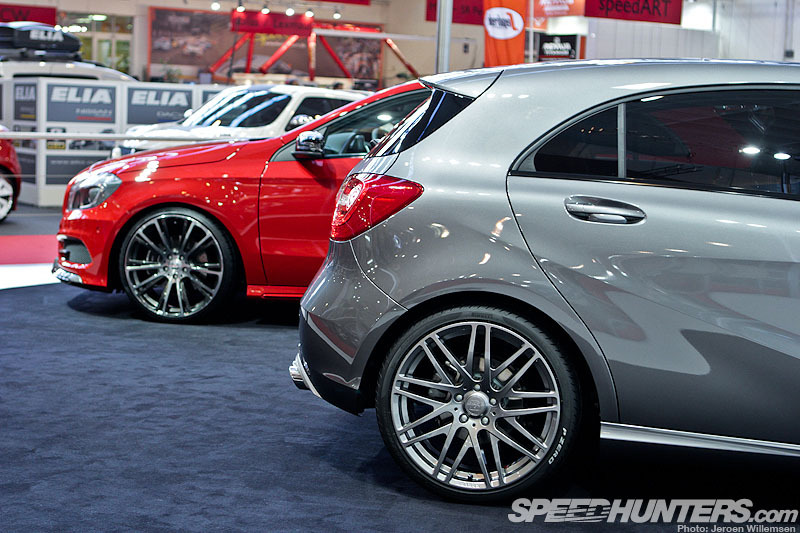 Both the cars were lowered an extra few inches on two different sets of Brabus wheels. 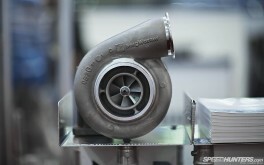 Brabus also addressed the engine management and extracted an extra 34bhp from it. 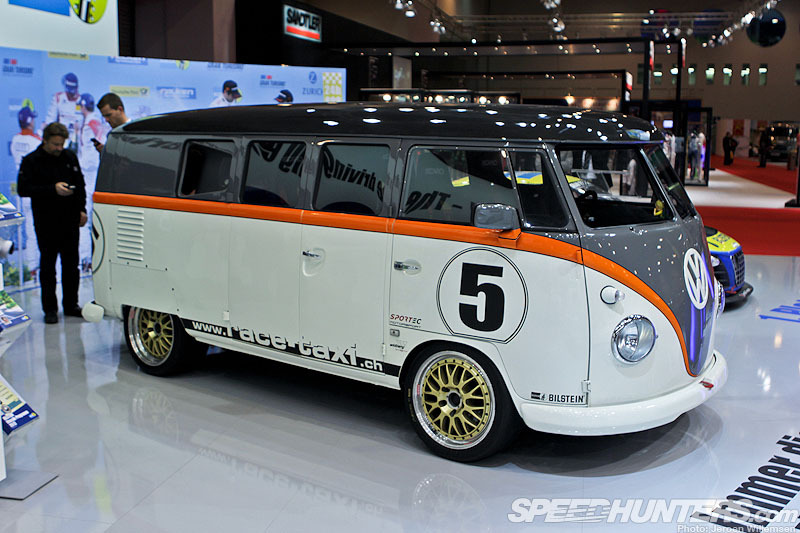 For more serious performance, how about a 1962 split-screen – with a 500hp Porsche 993 bi-turbo motor in the back! 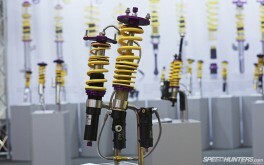 The Camper sits on all Porsche mechanicals and Bilstein shocks. It was a six-year project, but what a result. 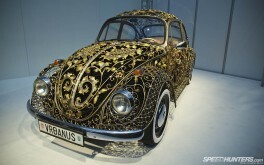 I thought this incredibly ornate Beetle was very pleasing: like something you’d find at the Palace of Versailles. 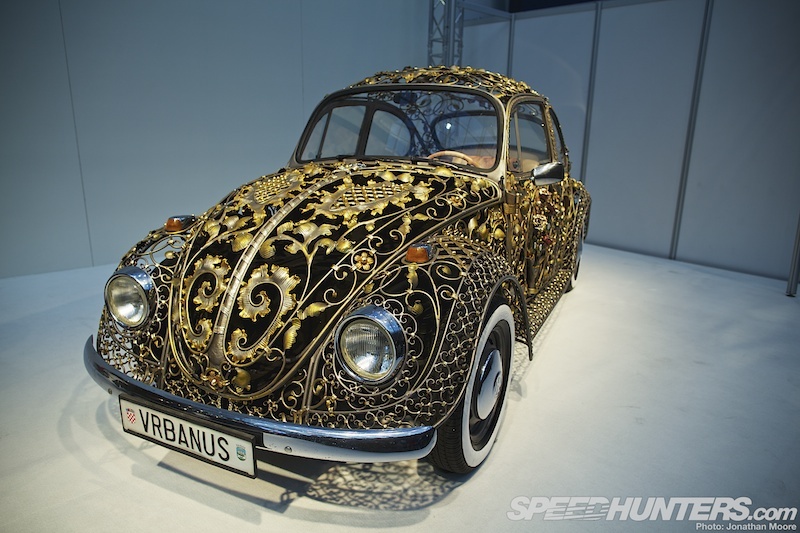 Metal-craft specialists Vrbanus created this 24-carat gilded work of art – it took 2,500 hours to create. 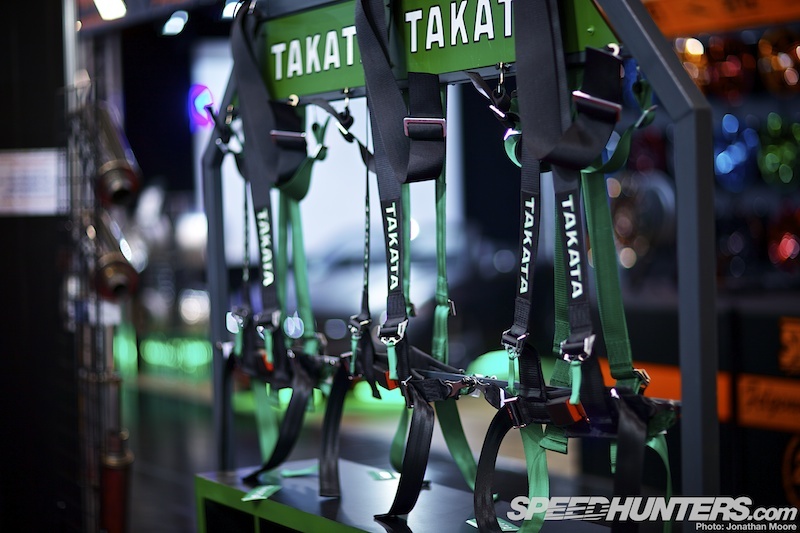 It has a unique and tastefully executed look – unlike the SEAT that we saw with fake crystals in the engine bay… A remedy was needed and we quickly made our way to the basement. 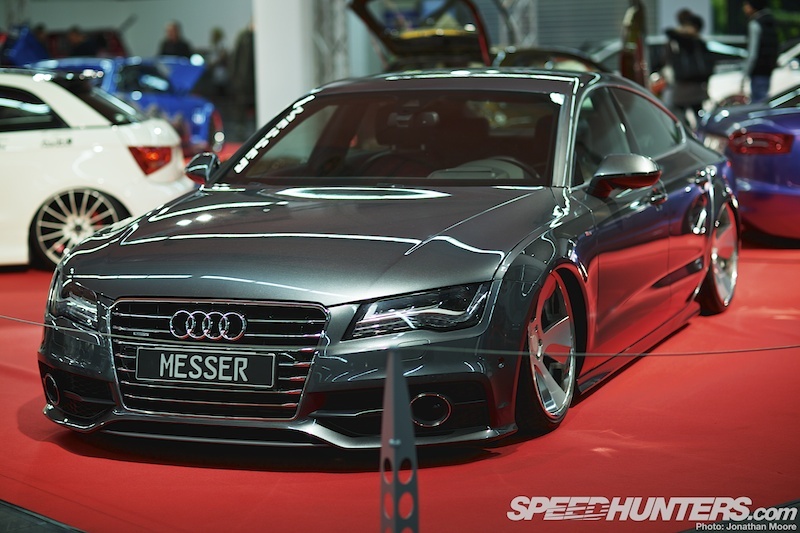 Downstairs was dedicated to modified builds from individuals: there was a mixed bag, but we did spot this bagged A7 that we first saw at the MIVW show. 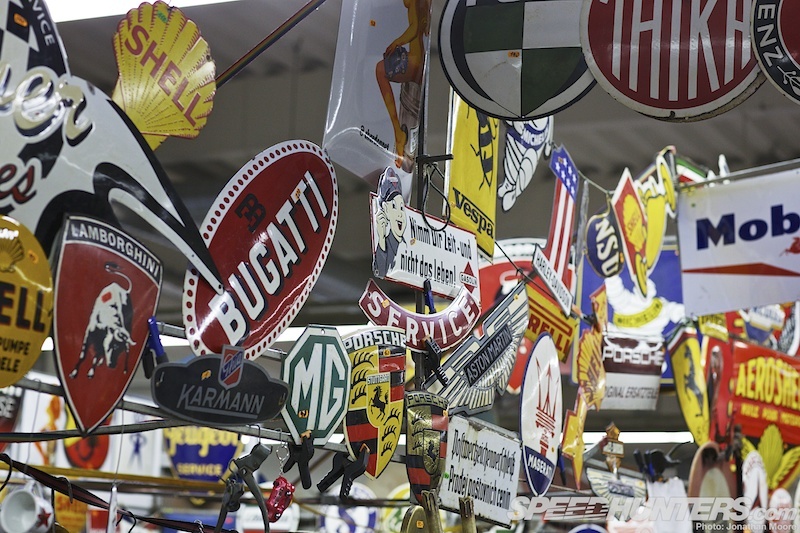 And then there was the huge auto-jumble upstairs: you could find everything from lights and gear levers, badges and overalls to neon signs, books and classic car magazines. 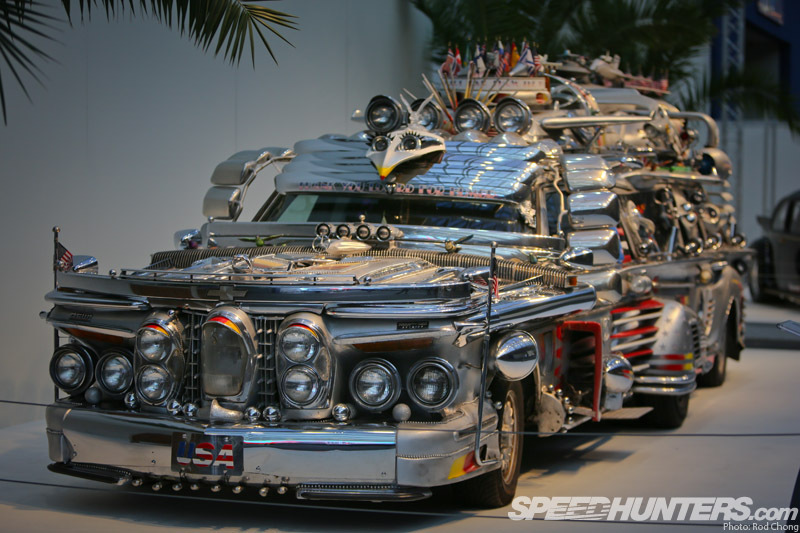 The car with all of the lights and wings (way way way too much crap on the car) - I've seen that car in person at a gas station in Savannah, GA. Looks CRAZY!! My whole family was turning heads as were all of the folks at the gas station. It is crazy over the top, but you can't help but look! Great post! 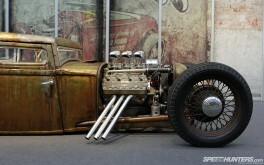 Love that hot-rod concept! A post better than the other! And the picture that opened the post, without words, phenomenal! One day we get to this level ... Today the SH became a reference. 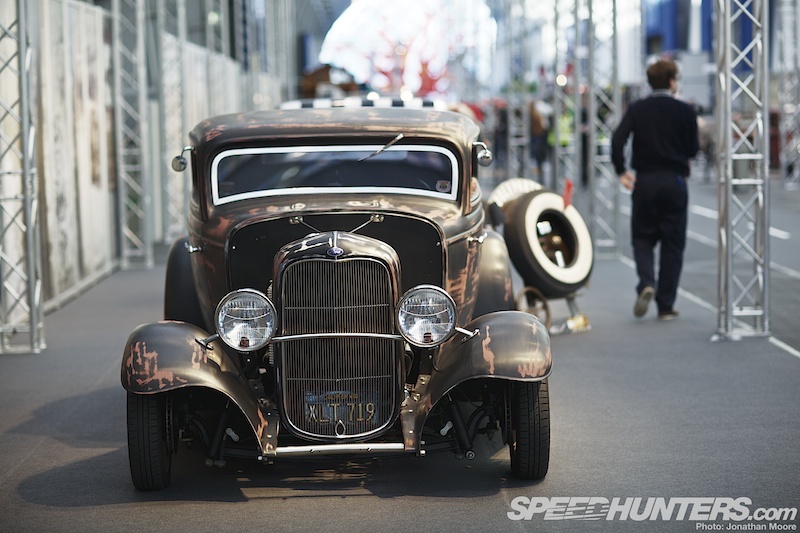 That green ford coupe... absolute perfection! I just love this BMW S3 M ! It looks so great ! That "’32 Zombie rod" is insane !!! Love every detail of it. Does anyone know who built it - where can I find more pics of it ??? that might be a near perfect mkII. Man you guys hit it out of the park with this feature! The A class has gotten big! 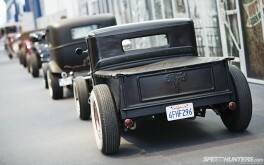 @SPEEDHUNTERS Check out http://t.co/VJTBboZA easiest way 2 search 4 car. Vehicles from major auto sites all in this 1 Kayak like site. i grew up seeing that mercedes with all that stuff on it around town here in lake worth, Florida. the guy is from finland. lake worth has a big finish population. "The Mk1 still hits the spot for me." Cant agree with you more. I love 'em! I love the Zombie car. It's so low! 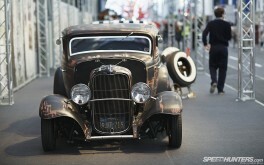 Never thought that there was a car that low! @ PBX Cant agree with you more!